The Fate Of The Furious, the eighth and definitely not the last entry in the Fast And Furious franchise, retains the ridiculous over-the-top fun of previous outings by upping the ante – more exotic cars, a military tank, a submarine, and the inclusion of more well-known action stars – but, sadly, loses a lot of the charm it established in recent films. Could this be the knock-on effect of losing Paul Walker? Fast 8 opens with an obligatory race sequence set in the backstreets of Havana. 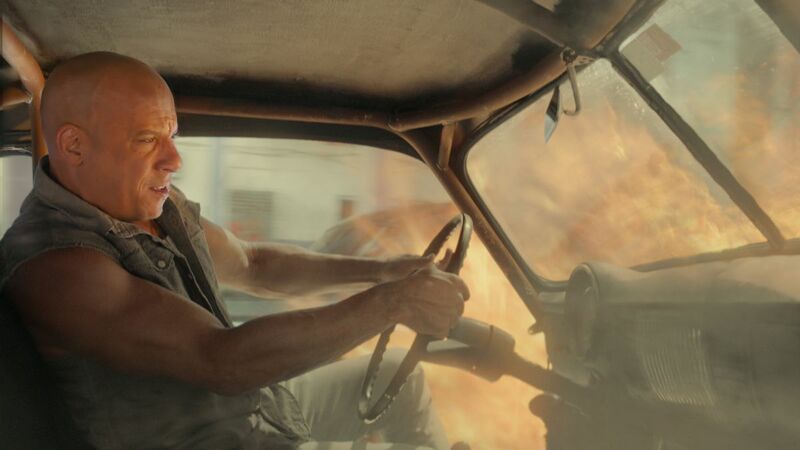 Vin Diesel’s Dom is back behind the wheel racing to keep his cousin’s rusty car from being repossessed. Not surprisingly, he supes it up and adds as much power to the rust bucket as he possibly can. Of course, he wins the race at any cost, even if it explodes at the finish line. What might seem like a familiar sequence in this franchise is actually a huge metaphor for Universal’s engine-revving films moving forward. It shows us that the creators are completely aware of how ridiculous it’s all become but, regardless of the absurdity, regardless of the missing players, they’ll continue to move forward, even if it all explodes. It pretty much sets the tone for everything that comes after. While the car-based action thriller is still fun and the set pieces are still amazing, a lot of The Fate Of The Furious feels recycled and made up of parts from previous instalments – a Ferrari made up of Toyota parts. While the plot and character development have always been irrelevant, it feels even more so here. Not even the inclusion of action stars like Jason Statham, Charlize Theron or Helen Mirren is able to save it from feeling old. The set-up is pretty standard. 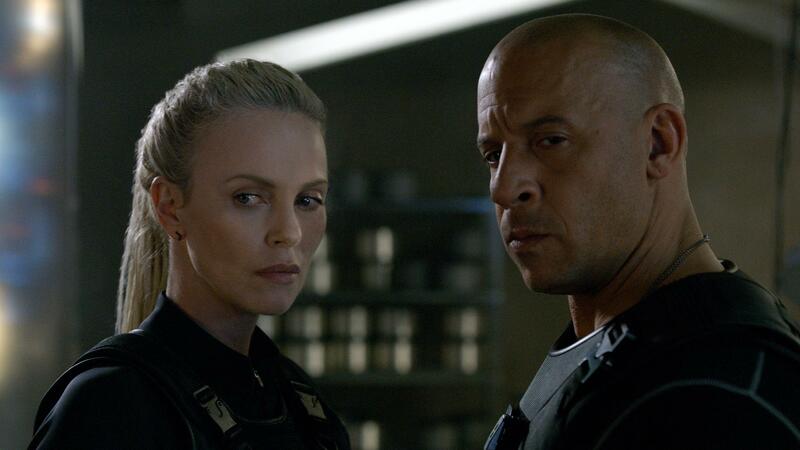 While Dom and Letty are talking about starting a family, Charlize Theron’s Cipher, a cyber terrorist, crashes the party and blackmails Dom into going rogue. Now, his team, made up of the usual suspects, has to overcome their own differences to take down their former leader. The Fate of The Furious is not a bad film, but it certainly isn’t as exciting as the previous films. Paul Walker is certainly missed. Somehow he managed to soften a lot of the film’s muscled-up bromance and it’s cheesy tone. Of course. That’s how the internet works. It was “too dark”. Not enough humour. And Vin Diesel calls The Rock Martha a few times. It surprised me by actually being quite decent. Loved the original and everything has been quite iffy for me until 7, which was a great action film. It was a bit somber due to Walker’s passing though. 8 is really a flipping crazy over the top action stuk and I love that it doesn’t take itself very seriously. The ONLY thing missing is Nicholas Cage as the villain.